When we research our family history what we are primarily doing is discovering stories. Almost always these are stories that we are discovering for the first time. They are unique and our own. We are explorers trudging through the darkest jungles of dusty records until the moment of recognition….. Dr Livingston I presume. Sometimes though the story is found not by what is written on the page but by what is not written. The blank page says more than words could ever say. There is an emotional profundity, a silence, a space, as we find in the final page of a war record or the death record for a child. In the St Nicolas Church graveyard in Nuneaton, Warwickshire there is a headstone for an Elizabeth Ball. It says, whose death was occasioned by her fall from her horse. A few words. A tragedy encapsulated in a sentence. Nothing else about her is said. It’s always harder to find information about female ancestors than male ones. There were no photographs back then. Women would appear on very few documents. They wouldn’t appear on tax records or voting records or military records as their husbands did. Her story can only be surmised through the lives of the people who lived around her. Her story is told by the silent spaces. She died on the 7th of July 1793 when she was 52 years old. She had 9 children five of which were under 18 years of age, the youngest, William was aged 10. What happened to them? She was Mrs Ball after marriage and she was Miss Ball before it. Her husband Timothy Ball was most likely a cousin. He was two years younger than her. 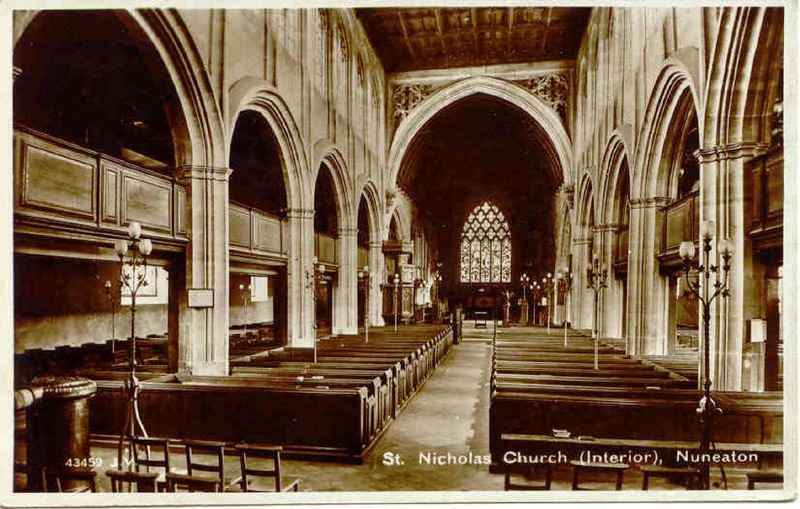 They were baptised, married, worshipped and buried in St Nicolas Church Nuneaton. Did they meet there too? Timothy Ball was variously described as a yeoman and a grazier. He owned land in a place nearby called Hides Pasture. He was a prominent citizen of his local community. His name appears on many documents but not much is known about him either. Timothy remarried a year after Elizabeth’s death but then died himself shortly after in 1795. Was this from grief? It’s not known if Timothy’s second wife, Hannah, became a step mother to the orphaned children. In her will of 1830 she leaves Timothy’s children 50 pounds each, referring to them as her ‘friends’. Were they more than that? For all of us who pursue genealogical research we are always collecting fragments like these; a name, a birth date, a death date, an occupation and so on. No matter how many fragments we find we are always just looking at the tip and trying to piece together the iceberg of our ancestor’s lives. It is an iceberg that is only conceived when we imagine the vastness of the ocean that contains it. It is what’s not said that speaks the loudest here. The story is told by the spaces that surround the fragments. It’s a story that comes from the silences. Twenty seven years after Elizabeth Ball’s death, in a church 1 kilometre away from St Nicolas, Nuneaton a baby girl was christened. Unlike most women of her age her thoughts feelings and life would be well-documented. Thought to be too physically unattractive to have any serious prospects of marriage but having a sharp intellect her father decided to invest in her education. Something not typically afforded women at that time. Mary Ann Evans, who was christened on 29th November 1819 in All Saints Church in Chilvers Coton, was educated and grew up in Nuneaton and the surrounding area. She was an intelligent and voracious reader and when she wrote what was to become her first novel, at age 37, it was her childhood and adolescent memories that she drew from. 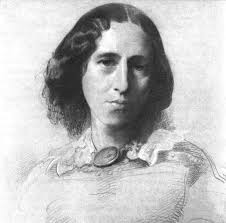 Choosing the nom de plume George Eliot, the characters in her novels were said to have been based on people that she knew from her early life. There is only one character from her novels which is definitely thought to be someone from my family tree. The character of Rev Archibald Duke from her book Scenes of Clerical Life (1858) was thought to have been based on the real Rev Henry Hake, vicar of Chilvers Coton. He was the husband of Elizabeth Ball’s great niece. Her description says he was: a very dyspeptic and evangelical man… whose hair is brushed straight up, evidently with the intention of giving him a height somewhat less disproportionate to his sense of his own importance than the measure of five feet three accorded him by an oversight of nature. She doesn’t describe him as much of an iceberg. Mostly ‘tip’ I think. As with any ‘person of note’ the events of Mary Ann Evans life are incredibly well documented. Her novels have been described as psychological portraits of the characters within them and as such, I think, they are also psychological portraits of herself. This much genealogical information for an ancestor would be an exceptional find for anyone let alone for a woman of that era. Elizabeth Ball’s grandson John Ball was, like Mary Ann Evans’ father, a farmer. 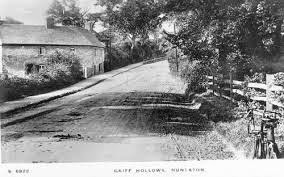 John farmed a small piece of land in a hamlet called Griff not far from Nuneaton. He went to All Saints Church, Chilvers Coton, where his son Benjamin , my grandfather’s grandfather, was christened. It’s hard to believe that Mary Ann Evans who lived nearby in Griff House wouldn’t have had some contact with the Ball family nearby. Did she see them passing on the street? Did she ever say hello, have a conversation or shake their hands? I’ll never see what filled the silent spaces of my ancestor’s lives, but did she? Did they inspire a character, a sentence, a word in one of her books? I can only imagine. The spaces of our lives can never be known without imagining the vastness of the ocean that contains us. The blank pages and record fragments that are left from a life will never tell it all. It’s what is unsaid that often speaks louder than what is said. Will our descendants find our stories, will they understand them, or will they only be revealed through the silent spaces? I feel Gray refers to lack of educational opportunity. Conversely, the lives of these largely uneducated folk (especially the women) didn't produce enough documents to educate succeeding generations about their lives much. They lacked the opportunity to be educated about previous generations ("the spoils of time") and to educate succeeding generations. Thank you for your comment marylouise. That really is the perfect poem for this blog post and a perfect comment. Thanks for your interest. Cheers.